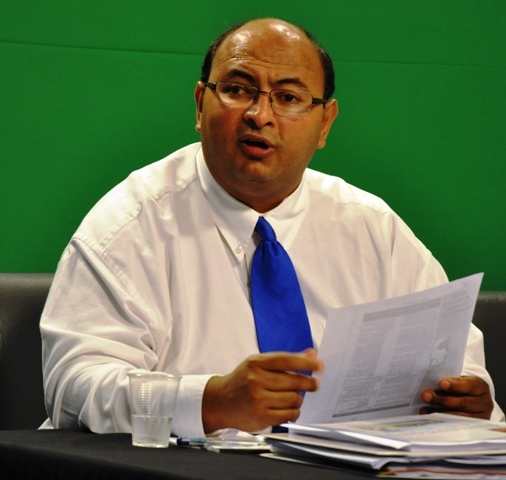 In emails and comments sent to iNews by several young professionals, they pointed to recent personal attacks on professionals such as Mahender Sharma of GEA by Christopher Ram and Kaieteur News. And pointing out that it will scare away young and bright skills from public service. One government minister and a young professional who joined the public service have come out in defense of young individuals serving in public agencies. The Minister added that the opposition has been displaying a most distasteful move to discredit the professional competence of a number of technical, non-political persons working in Government with the aim of derailing the projects and tasks on which those persons are engaged. “The competence and professionalism of persons like Winston Brassington and Mahender Sharma have been under constant attack by the opposition. This begs the question: Why?” asked the Minister. “These individuals have chosen to remain in Guyana and serve their country, and have been doing so with distinction,” Minister Singh said. “Winston Brassington and Mahender Sharma have been serving this country for 19 and 14 years respectively and have shown unprecedented commitment and dedication to the respective offices in which they serve,” he said. The Minister stated that from a technical perspective, persons like Messrs.’ Brassington and Sharma are impressive young Guyanese of whom all Guyanese should be proud. The Minister also pointed out that government has been making a consorted effort to attract qualified personnel to fill key positions within the public sector in an effort to propel the government’s long term developmental goals. “In addition to opposing this government’s developmental projects, the opposition has moved to attack the persons working on those projects without as much as offering any input that would make the projects better or improve the image of Guyana,” explained the Minister. The Finance Minister repeated his call for the opposition to work with Government in building Guyana’s professional core in the interest of a stronger public and private sector in the country.